In the June issue, American City & County announced its County Leader of the Year – St. John the Baptist, La., Parish President Natalie Robottom. Managing Editor Erin Greer discussed products and privacy rights, and Assistant Editor Derek Prall detailed local mobile initiatives. Welcome to the 69th Annual NIGP Forum – what procurement professionals can expect at the event in August. For the May issue, American City & County explores the ins and outs of procurement practices in “The Buying Game,” interviews communities working to foster resident health in “Holistic medicine,” and highlights efforts to bridge the ‘word gap’ in “Look who’s talking”. 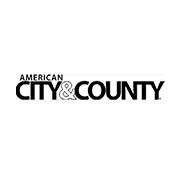 In the April issue, American City & County examines economic development, explores the ins and outs of toll roads, and showcases wastewater projects. Brevard County, Fla., officials discuss life post-NASA, Managing Editor Erin Greer questions whether we truly live in a representative democracy, and James “Jim” D. Warner spends “A minute with…” our readers. For the April/May issue, Larry Anderson explores fighting crime across borders, Mike Richart explains transitioning to NGVs, and Robert Barkin lays out the changing world of HR. In the March issue, American City & County examines how Public Works Departments are instituting new training programs, explores how walkability is key when planning downtown development, and highlights ecocentric projects nationwide. Managing Editor Erin Greer examines the fear of innovation, and contributors James Hosfelt and Bert Williams discuss public safety surveillance and wireless communication, respectively. In the February issue, Managing Editor Erin Greer reflects on civil rights with her stroll down Auburn Avenue, Derek Prall examines municipal methods for combatting winter weather, and Robert Barkin explores how municipalities are altering benefits packages in times of financial hardship. Government Procurement delves into green purchasing world-wide, explores five energy misconceptions, and explores getting money into classrooms. American City & County honors its Crown Communities for 2013.